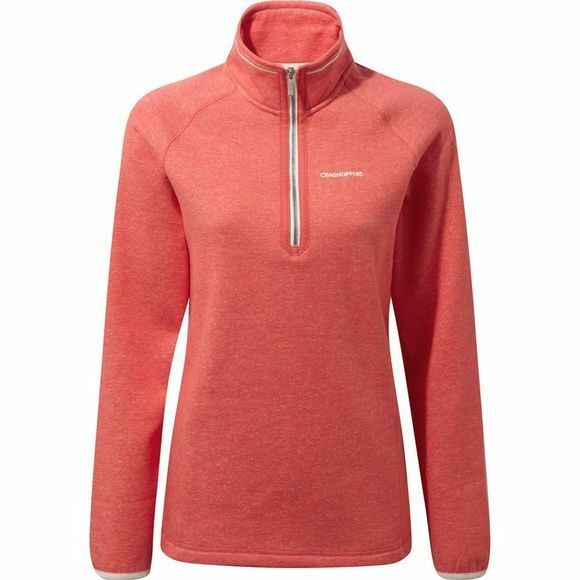 If you’re in the market for a casual, practical fleece top this season, give the Womens Zoe Half Zip Fleece a whirl. A fresh take on a tried–and–tested classic, Zoe is constructed from Craghoppers smooth, cotton–rich sweat marled fabric with a soft brushed back for insulating comfort. It's a half–zip that offers a welcome extra layer of warmth when temperatures cool.